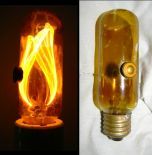 Duro Test 11w S14 Yellow Sign Bulb 6 packsocketgeek6303/08/19 at 17:28socketgeek63: Thanks Robert! Wasn’t expecting an DT version in t... Duro Test 11w S14 Yellow Sign Bulb 6 packsocketgeek6303/08/19 at 08:48rjluna2: That's interesting, Dennis Ken - Rad Light Blue Finished C7 Night / Indicator 7W.socketgeek6303/05/19 at 07:30socketgeek63: Awesome Champion had an version of this Robert. :... Ken - Rad Light Blue Finished C7 Night / Indicator 7W.socketgeek6303/04/19 at 19:49rjluna2: Wow!